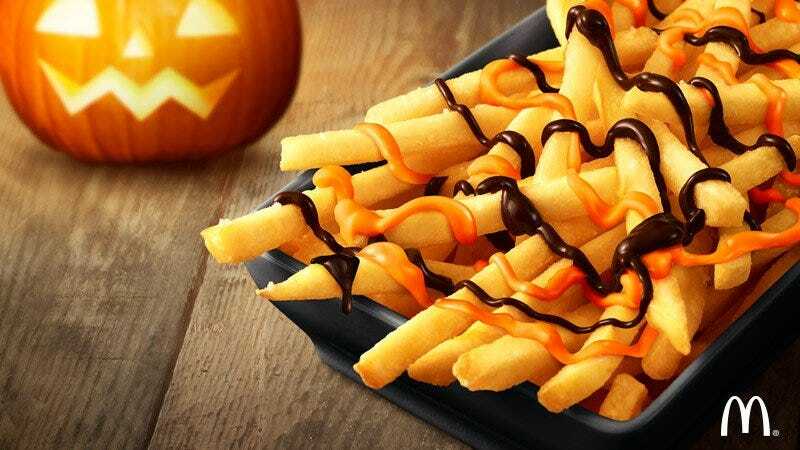 To mark Halloween, which is now very much a thing in Japan, McDonald’s is putting out fries with chocolate and pumpkin sauce. They’ll be available from September 28*. Maybe we’ll get a Halloween burger, too?